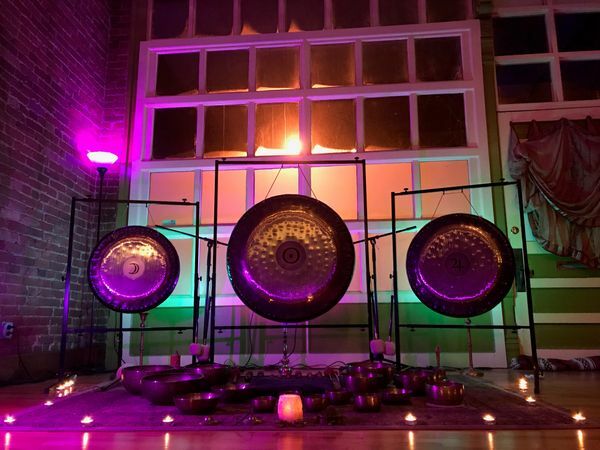 In this special ALL levels event participants will be guided through a series of seated listening and breathing techniques (designed for significantly reducing stress, more effectively managing negative emotional states, as well as developing higher levels of focus and self-awareness) followed by an extended Tibetan singing bowl & Gong Sound Meditation practice where you can simply lie back, find a quieter state of mind, and listen in an environment intended to support, strengthen, and cultivate our own inner sense of well-being. How can a Sound Meditation practice benefit You? 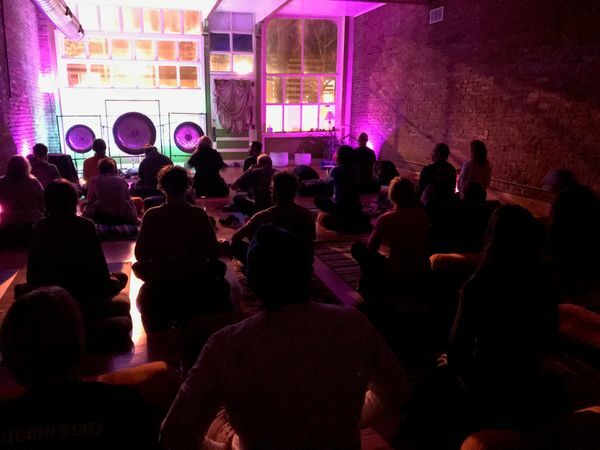 All Tibetan bowls are amplified by a stereo quality sound system to create the most immersive sound meditation experience for you possible! Sunday, March 31st - 7-8:30pm Register Here! Saturday, April 20th - 7-8:30pm Register Here! Saturday, May 18th - 7-8:30pm Register Here! Saturday, May 26th - 7-8:30pm Register Here! $20 Early Bird, $30 on the day of the event. Yes, Sacred Sounds class packs may be shared! Questions? Chat with us on the lower right!